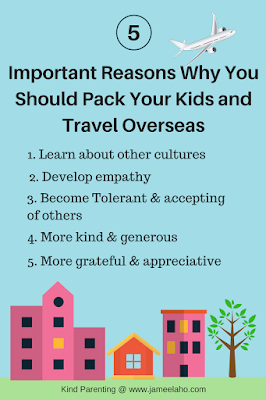 I've written an article over on Muslim Travel Girl's blog about the benefits of traveling with your children overseas. The above infographic covers the 5 reasons. If you want to find out in details about each one then hop on over to Muslim Travel Girl's blog and read the article in full. Meanwhile, you can download and enjoy the infographic. Just right click and save. And don't forget to share. Have you ever traveled overseas with your children? What are your experiences and can you add any benefits to this list of five? Please comment below.